Butter requires only one ingredient, making it a good project for kids either at home or at school. Making butter doubles as a science project since the kids get to watch the cream separate into a liquid and a solid mass. The project doesn't take long, but it does take arm muscles. Assign kids to groups so the kids can take turns with the hard work. After the butter is made, the kids get to enjoy their hard work on toast, crackers or other food items. 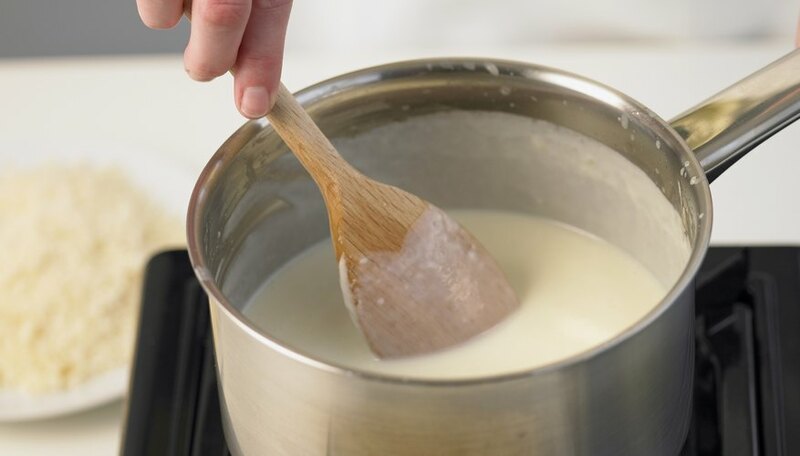 Pour enough heavy cream in the jar to fill it about one-third to one-half full. For individual child servings, use large baby food jars. The smaller jars give the kids more control and make the butter process faster. You can also use a canning jar with a tight lid. Screw the lid in place. Check for a tight seal to ensure the cream won't splash out. Shake the jar for about 10 minutes to separate the liquid and solid parts of the cream. You will be able to feel the difference once you get a large clump of butter in the jar. Pour out the liquid portion from the jar. You can save the liquid and use it as buttermilk. Use a colander to strain out the butter if necessary. Place the butter in a bowl and run cold water over it to rinse it. Squish the butter against the side of the bowl with a spoon to squeeze out any leftover buttermilk. Pour out the water and run clean water over the butter to continue rinsing. The butter is done when the water remains clear. Season the butter with salt, cinnamon, garlic powder or other seasonings as desired. You can also leave the butter plain. Chill the butter until you are ready to serve it. Butter can be stored in the refrigerator or frozen for later use.